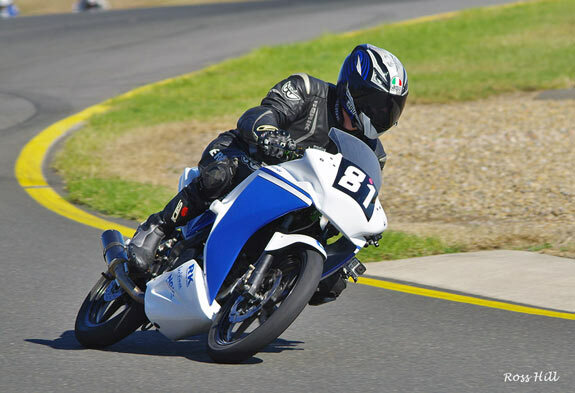 Get yourself a Honda CBR125 or similar and live the dream, racing in the Commuterlite Class. 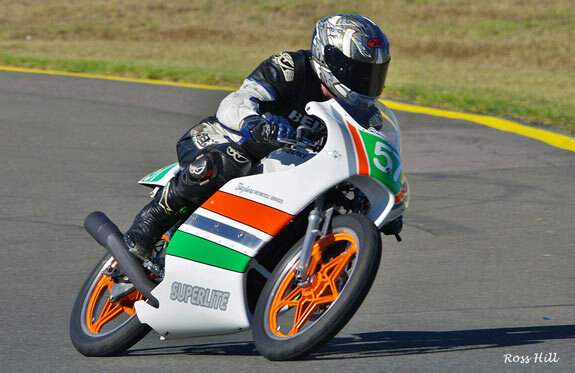 Adam will be competing in the Motolite class in 2016. Young and old are enjoying racing in this very competitive class. You owe it to yourself to give it a go. Round One. 14th May 2016. 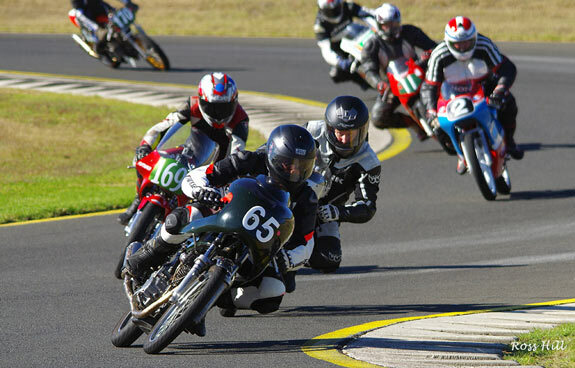 Round one held on the South circuit at Sydney Motorsport Park. 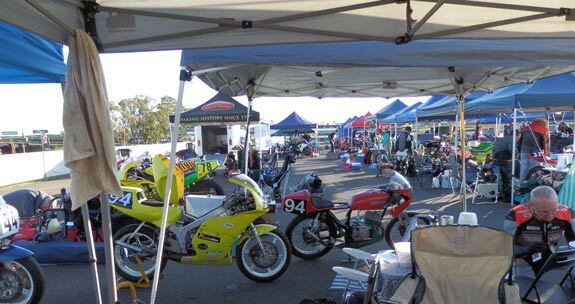 Although having a late start in the Year the 2016 BRA / PCRA Championship series got off to a great start on beautiful Autumn day and a large entry. A big welcome to all the newcomers in the various classes. Early morning pit activity at South circuit. The sun was out, a promising prelude to a great days racing. #888 Jack Robinson on his nicely turned out Honda RS150CRF had a great start with new bike and first race in Motolites winning race one and placing second on races two and three to finish second overall. Everyone got away well with #60 Jason Dunn Honda RS85cr getting the holeshot. Surprise on lap one Jason was off the track at the uphill corkscrew, recovering to rejoin dead last behind the Superlites. Newcomer to Motolite’s #888 Jack Robinson Honda RS150CRF had bolted into a good lead with #73 Brodie Thackery Moriwaki 80 and #17 Adam Cameron Honda CBR150 swapping places battling for 2nd and 3rd. However by lap four Jason had scythed through the field and was up to 2nd. By this time Jack Robinson was out of reach, winning his first Motolite race in his first ride on his new Honda RS150CRF. Jason finished second with Brodie Thackery pipping Adam Cameron for third. 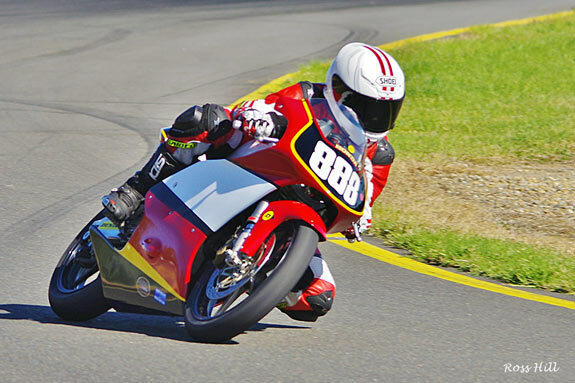 #29 Harrison Wells Moriwaki 80 finished 5th with #11 Michael McLean Honda CBR150 6th and #170 Michael Child 7th. #53 Thomas Young Honda RS85cr retired on lap three and took no further part in the event.. This time #60 Jason Dunn made no mistake with a flag to flag win. Likewise #888 Jack Robinson had an untroubled run to 2nd. Again #73 Brodie Thackery and #17 Adam Cameron was in a do or die battle for the final podium position swapping places several times with Brodie waiting until the last lap to make a pass stick snatching third by a mere 0.109 of a second. Michael McLean came in 5th with Michael Child 6th. #29 Harrison Wells retired on lap two and was finished for the day. Due to some delays race three was shortened to four laps. Jason had another faultless run to the chequered flag with Jack Robinson finishing a close second. Brodie Thackery this time managed to keep a small gap on Adam Cameron to finish 3rd and 3rd on the day. Brodie proved there is still life in the venerable Moriwaki. 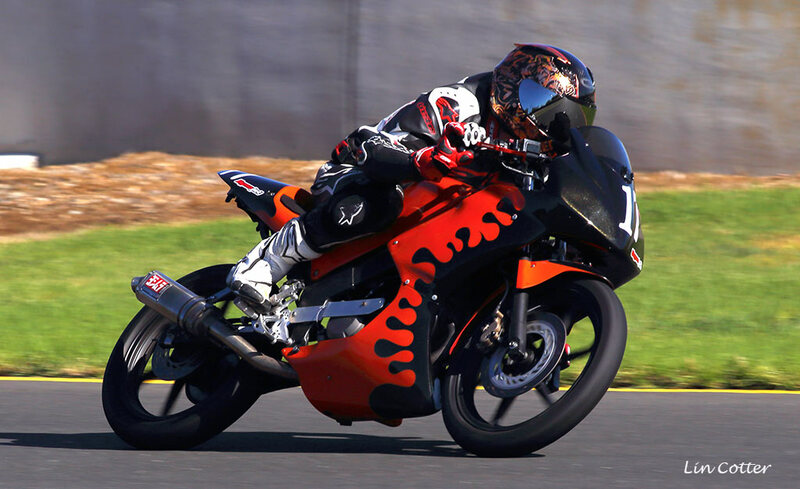 His sparring partner for the day Adam Cameron did well on what is a commuterlite with a standard 150 engine. 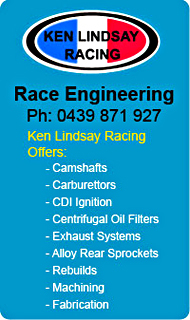 Some go faster work is on the cards. Michael McLean brought the red CBR150 home in 5th. Unfortunately for Michael Child his Supermono stopped on the start grid and he couldn't get it to start so no points for race three. Tim Smith got off to a great start to the year dominating the Superlite PRO class by winning all three races and going away with maximum points haul. 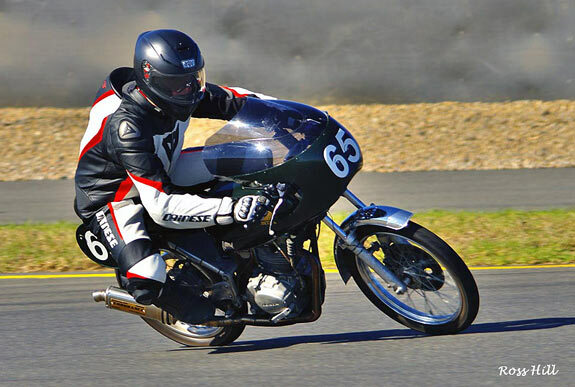 Above: Tim in action on his Honda CB150 proved unbeatable on the day. Number 38 Junior Murphy (BBR Honda CB150) jumped into an immediate lead followed by #2 Ken Lindsay Honda RSC150 and #169 Ian Gregory Honda CB150 with #65 Tim Smith slow to get away but slotted in behind the King. However by lap three Tim had dispatched Ian Gregory to 4th and on lap 4 he put away the King and Junior and wasn't headed again taking out the first Superlite PRO race of the year. The finishing order was #65 Tim Smith, #38 Junior Murphy, #169 Ian Gregory, next up was the battling brothers #56 Herman and Kurt Wagus Herman pipping Kurt for 5th. Final placing's was #94 John Olip Suzuki 100 (7th.) and #62 Jim Murphy CB150 (8th) final finisher in the class. This time #65 Tim Smith made a great start leading from start to finish with Junior Murphy and Ian Gregory not far behind. On lap 4 Ian made a determined bid for second place but ended up doing some grass tracking and was lucky to hold the position. #2 Ken Lindsay was stuck in a battle with the Motolite of Michael McLean and could not break clear to join his Superlite compatriots up ahead. Once again the the Wagus boys were hard at it with this time Kurt getting the upper hand. 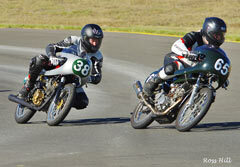 John Olip and Jim Murphy were in their own battle with Johns bike faltering on the last lap allowing Jim to finish 7th. Once again Tim Smith made a perfect start but had a racy Ian Gregory the defending champion in tow and sure enough Ian went past in lap 2 and was looking good for his first win but it was not to be. Tim waited until the last lap and made a terrific pass for his third win of the day. King Kenny was holding a watching brief as the two ahead battled it out. Ken finished a close third which was a nice present to himself on his birthday. It was a hilarious prize giving with cake and jelly shots celebrating the Kings birthday. Junior came in 4th after battling race long with the Motolite of Michael Mclean. Kurt and Herman Wagus and John Olip were in a three way battle Kurt coming out ahead and John getting between the very competitive brothers. #57 Stuart Ellis on his very smart looking Suzuki 150 Won the day with 3 wins, scoring maximum points and mixing it up with the midfield Superlite PROS. Number 57 Stuart Ellis Suzuki150 had a dream day winning all of the races he contested. #164 Darrell Francis Suzuki150 finished 2nd in the three races with Zac Perrington Kawasaki 100 finishing 3rd. What's up! not a Honda in sight. The CommuterLite's popularity continues to grow. They are producing some incredible lap times (for the limited power they produce) and some great racing with some very talented riders emerging. The closeness of the racing is evident by the amount of races won and lost by thousands of a second. 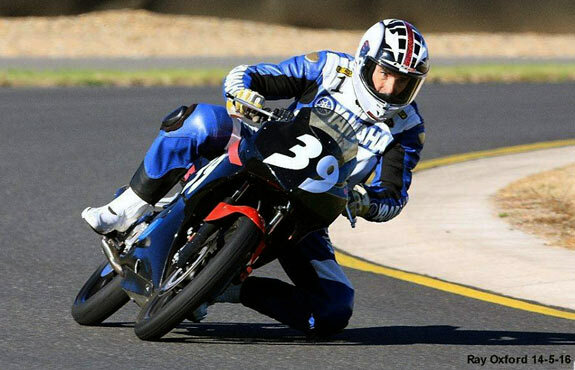 #39 Ken Watson (Honda CBR125) was 2nd in race one and won races two and three fending off attacks from all-comers. At the start #39 Ken Watson (Honda CBR125) got the hole shot but had a racy #555 Nicholas Miller (Honda CBR125) looking for a way past and #75 Corey Smith (Honda CBR125) and #41 Keo Watson (Honda CBR125) were also in the hunt. On lap two Nicholas made a pass stick and was never headed on the run to the flag. Keo got the better of Corey and this was the finishing order of the top four. Number 3 Peter Lindsay (Honda CBR125) in his first outing in the PRO class held off the advances of #24 Tom Harrison (Honda CBR125) and #136 Ron Pulido (CBR125) to finish 5th. 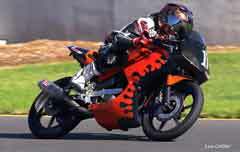 with #4 Martin Kraaymaat (Yamaha YFZR125) 8th. This time #555 Nicholas Miller (Honda CBR125) got away to a great start but it was short lived as #39 Ken Watson Honda CBR125 went past on lap two and two laps later #41 Keo Watson Honda CBR125 slipped past pushing Nicholas back to 3rd. #75 Corey Smith (Honda CBR125) came in 4th. A much improved #136 Ron Pulido (CBR125) found some pace to finish 5th. followed home by #3 Peter Lindsay (6th), #24 Tom Harrison (7th), #93 Robert Young (KTM125) (8th.) and #4 Martin Kraaymaat (Yamaha YFZR125) 9th. Number 39 Ken Watson (Honda CBR125) had a flag to flag win to stake his claim for the 2016 number one plate. Defending PRO champ #555 Nicholas Miller (Honda CBR125) held 2nd first time around but on lap two #41 Keo Watson (2nd) and #75 Corey Smith (3rd) went past pushing Nicholas down to 4th., he had no answer to get back at them but held on to finish 4th. Number 136 Ron Pulido again finished 5th. ahead of the duelling duo of #3 Peter Lindsay (6th.) and #24 Tom Harrison (7th. ), #93 Robert Young (KTM125) 8th and #4 Martin Kraaymaat (Yamaha YFZR125) 9th. Number 81 Luke Rhodes was the fastest of all the Commuterlites PRO and AM in qualifying and dominated the Commuterlite AM class winning the three races and in fact was pushing the Commuterlite PROS, a candidate for re-grading perhaps?. 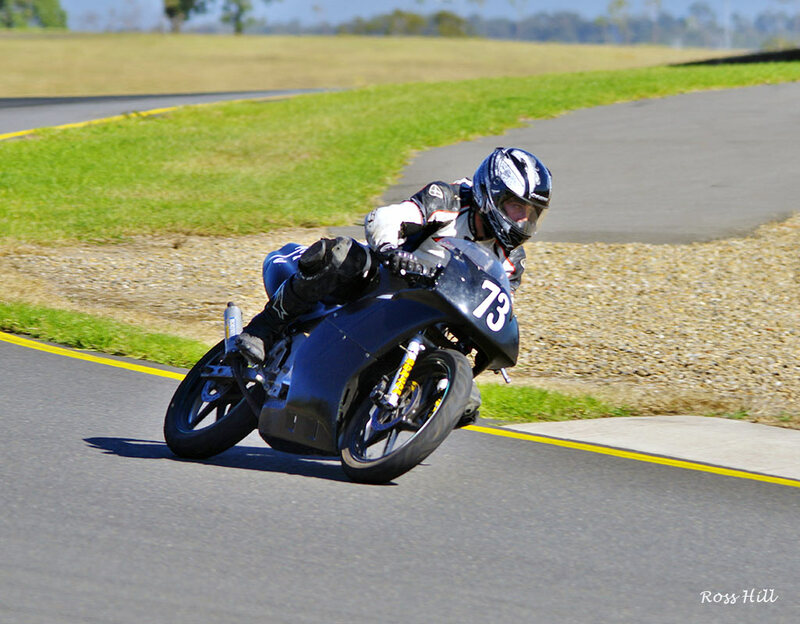 #81Luke Rhodes (Honda CBR125) was in terrific form winning all three races. 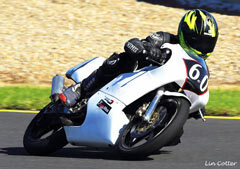 Number 9 Andrew Smith (Honda CBR125) finished 2nd in the three races. 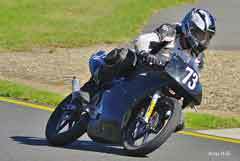 Number #78 Mark OToole (Honda CBR125) finished 3rd on the first and second races and 4th in race three. #35 Peter Brown (Yamaha YFZR125) back for 2016 after missing out on 2015 showed good pace to finish 4th. in the three races. Newcomer #7 Brodie Frewin (Honda CBR125) had a brilliant start to his first Commuterlite race to finish 5th in races one and two and an excellent 3rd. place in race three. 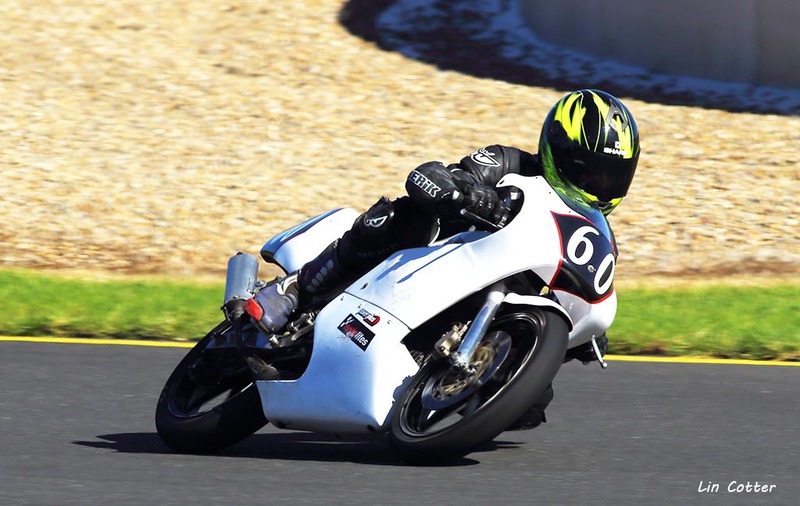 #5 Michael lemon (Honda CBR125) had a disastrous first race dropping from 4th. to last. However he made up for it by finishing 6th. in the next two races. Another newcomer #19 Jan Martizano (Honda CBR125) did well to finish 6th. in all the races. #12 Jessica Dykes (Honda CBR125) having forsaken the Aprilia for the more nimble Honda showed improved pace to finish 8th in races one and two but went missing from the results on race three. #66 Andy Lewer (CBR125) came 8th, 9th and 8th. with #84 Daniel Florence (CBR125), #84 James Wain (CBR125) #87 Ian Hancock (CBR125) filling the remaining positions. Typical of the dicing in Bucket racing, always close and a lot of fun. With #65 Tim Smith (Honda CB150) winning all the races it was left to #169 Ian Gregory (Honda CB150), #38 Junior Murphy (BBE Honda CB150) and #2 Ken Lindsay (KLR Honda RCB150) to squabble over the remaining podium positions, all three sharing the spoils.